Just a couple of pictures that have been making me smile from this last week. 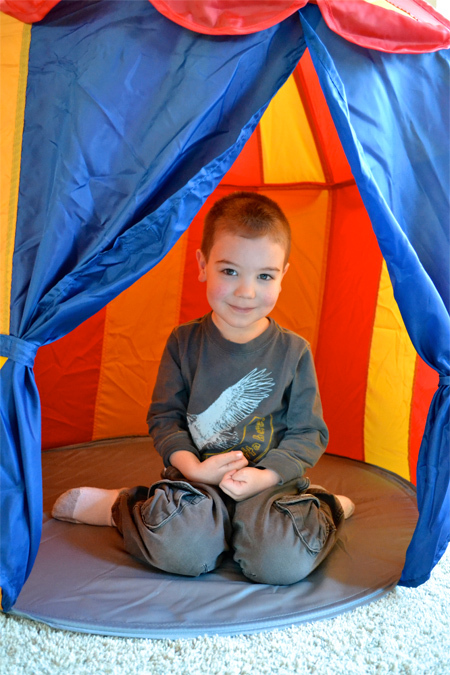 Sweet Buddy in his circus tent. Also entitled, I'm the sucker that always purchases the large kid item on my way out of Ikea. 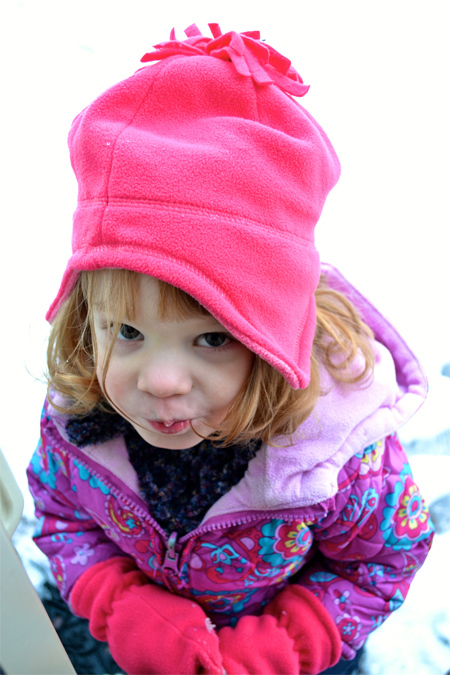 Jellybean pursing her lips because I won't let her inside before getting a picture. Also entitled, "So what if I just spent the last 15 minutes "washing" the windows with snow and then eating the snow I was washing with? It looked clean to me."